Experience a bygone era in one of the South's most beautiful settings - Oak Alley Plantation, built in 1839. Marvel at the unbelievable quarter-mile long alley of 28 magnificent Oak trees, each over 250 years old. 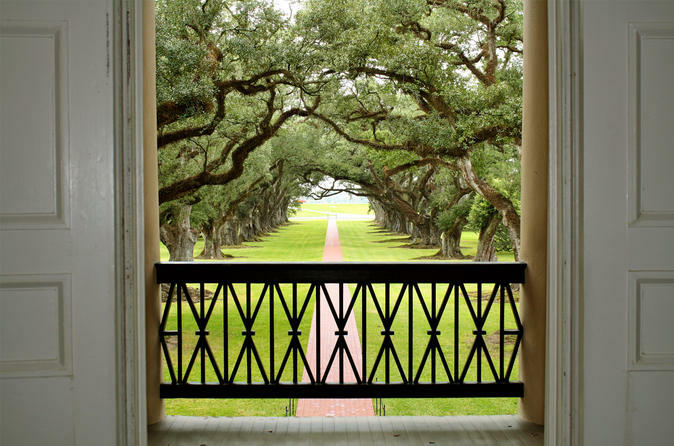 Your guided Oak Valley Plantation tour will reveal the stories of the home and its history. View the Majestic Cypress Trees in Louisiana's swamps bordering the Mississippi River. You can purchase a snack, salad or sandwich in the Cafe and Ice Cream Parlor to enjoy at the picnic tables or aboard the coach (not included in price). Special Offer - Travel by February 28, 2018 to save 23% off our previously offered price! - Book Now!